La petite cuisine Parisienne | One quality, the finest. 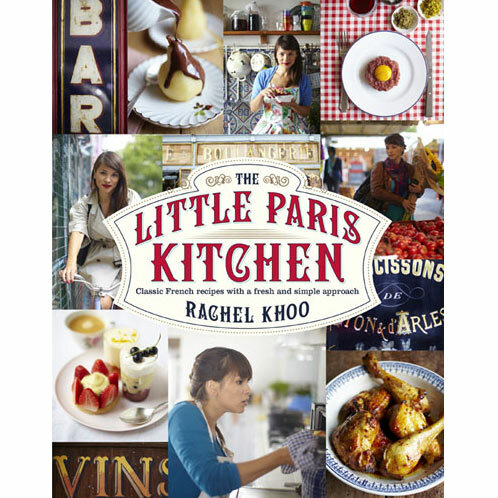 Little Paris Kitchen: 120 Simple but Classic French Recipes, by Rachel Khoo, caught my eye. Since I do love to be cooked for, I just might need to make sure this book falls into my husband’s hands. Former fashion publicist, blogger, and “food creative” (a term she prefers to “chef”), Khoo has prepared a book that is as luscious to look at as its recipes are tempting. The end papers consist of Khoo’s watercolors of kitchen tools and ingredients labeled in French. 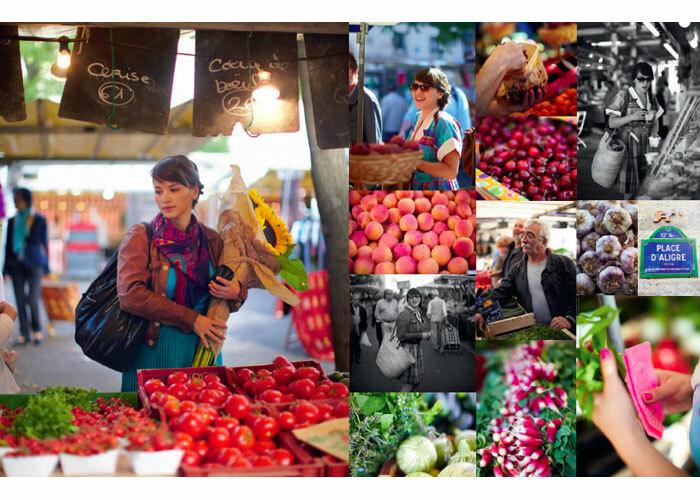 Each recipe is accompanied by a full-page photograph by David Loftus. London native Khoo moved to Paris to pursue training at the prestigious Cordon Bleu school. This book compliments her show “The Little Paris Kitchen”on BBC2. She cooked all of the recipes in her tiny kitchen on her two-burner stove. Her mantra is that the techniques of French cooking are within the grasp of everyone, and that if she could whip up each creation in her pint-sized kitchen, you can too. The book is divided in sections by meal, including Everyday Cooking, Summer Picnics, Dinner with Family and Friends, and, my favorite, Sweet Treats. While the recipes are based on French classics, Khoo is not afraid to put her own twist on them. For instance, Croque Madame is prepared in a muffin cup and Coq au Vin is served on skewers. Each section is introduced by Khoo’s observations about life in Paris and the importance of quality food to the French. The book concludes with two pages of her restaurant and foodie recommendations. 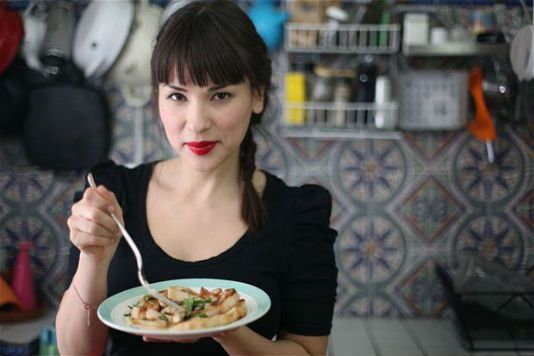 Today’s phrase, la petite cuisine Parisienne (lah puhteet kweeseen par-e-see-n) is the title of the book in French and the name of the tiny pop-up restaurant Khoo operated from her apartment in order to test the recipes. My only concern is that some of the ingredients, like fromage blanc, while easily obtainable in France, are basically impossible to find in the United States. Even if products bear the same name, I’ve learned to my sorrow that they are not the same food. Still, I think there’s plenty of scope for my husband to whip up simple, flavor-filled, and beautiful meals in our cuisine, including that gratin dauphinois I’m still dreaming about. This entry was posted in Cuisine and tagged David Loftus, french cuisine, La petite cuisine Parisienne, Rachel Khoo, The Little Paris Kitchen: 120 Simple but Classic French Recipes. Bookmark the permalink.